The FF2 Media team congratulations interns Katusha Jin and Peier Shen, as well as Social Media Manager Georgiana Presecky on their 2017 graduations from New York University, Columbia University and Lewis University, respectively. Now FF2 Media Associates, each took time to reflect on their experience writing for FF2 Media, their goals for the future and the films that have left a lasting mark on their lives. "FF2 Media has been warm, inviting and educating. The community has increased my awareness of where female filmmakers stand today and why we need to help share their works. As an aspiring female filmmaker myself, it has been enlightening to see how many women do partake in the creation of films, and that there are opportunities around us (although we do have to do our fair share of digging sometimes). Reconvening with the team regularly has been an opportunity for me to have an input in thought-provoking discussions and learn from everyone else's insightful comments. The members have introduced me to the ways of the team and helped me create my spot amongst them. I am ever so grateful for everyone's guidance and care. I plan to stay in [New York City] and try my hand at working in creative development departments for media firms. I will also continue to make films by working on student productions on the side. In fact, a passion that I have found in recent years has been voice acting, so I hope to be auditioning for some voice acting gigs too! 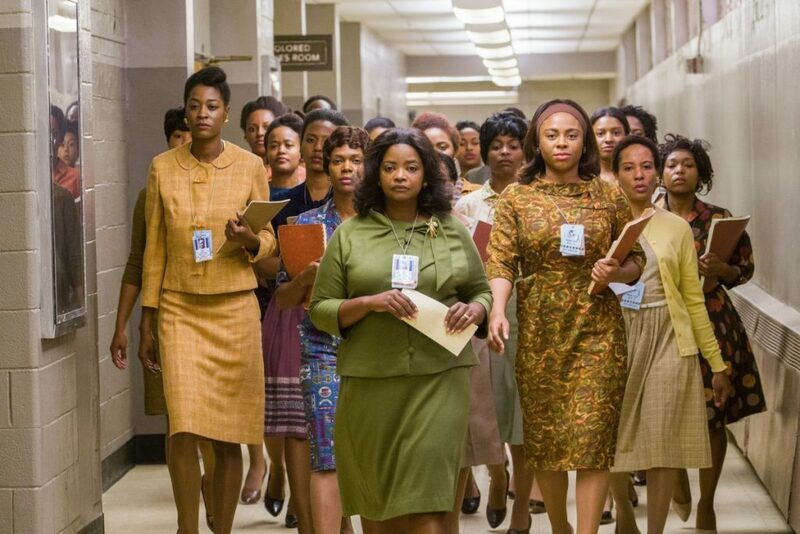 My favorite female-written movie so far has been Allison Schroeder's work for Hidden Figures. This is a movie not only written by a woman, but is about women, stars women, and teaches its audience about respect and appreciation for women's work in history. For anyone who watches out for women in film and academia, this film is food for the soul. A piece about female empowerment with a fantastic mash of comedy and drama - suitable for all, and definitely one of the best so far this year!" "I have been with FF2 Media for a little over a year now and it has been a humbling experience. As I embark upon these Friday pilgrimages to local movie theaters, I am reminded of the simple fact that women artists are working hard and are producing works every week and I feel empowered as a young woman artist. Whether good or bad, their effort should not be unseen. Often, the image of Jan Lisa Huttner (FF2 Media's Editor-in-Chief) cheering all those female writers and directors crossing over the finish line will surface as I think about what we want to do here at FF2 Media. We are the witness. Even though we might disagree with some of the artistic choices proposed by the filmmakers, we are really there to celebrate achievements. Despite the feel-good nature of what we do, I also understand the incredible responsibility that we have to bear, namely that of promoting works by female artists, and if we are really lucky, we might be able to help facilitate a real aesthetic trend in public appreciation of the cinema. I am an aspiring film director. Yes, one day, my film would hopefully be on screen, and hopefully the FF2 Media would be there and celebrate my work with me. Now, if I were to imagine further, I would hopefully be making stories to which I have a greater affinity. In order to obtain such a lofty goal, I am pursuing my MFA degree in Directing at American Film Institute next year. My favorite female-directed film so far is either Andrea Arnold’s American Honey or Athena Rachel Tsangari’s Chevalier. The former is unapologetically female-oriented, revolving around a neglected young woman in an underrepresented community. Her complex relationship with her social status, her race, her sexuality, and her community is laid bare with a real sense of youthful exuberance. Whereas, the latter is a unique psychological study of masculinity through games among several middle-aged white men. Game play always has potential to assume symbolic significance and the subtle Tsangari does not disappoint, leaving plenty of room for the audience to imagine their gender politics and socio-economical implications." "I started with FF2 Media as a very green social media intern, with only a few online audience courses and an appearance on Jimmy Fallon's "Tonight Show Hashtags" segment under my belt. Over the past two years, I've been privileged to help condense and clarify FF2's mission into 140 characters on Twitter, daily posts on Facebook and visually interesting images on Instagram. These tools are building our audience and reaching out to the intersection of movie fans and feminists online who want to hear these stories. Social media is such a powerful channel that brings our content to others in a unique way, and I've learned what kind of headlines, photos and posts will garner the most clicks. I’ve wanted to write since I can remember - from written school assignments and news articles to my own journals and blog posts, I love the written word and will revel in the opportunity to use it well, no matter what my position. I would love to continue working in social media or public relations. I'm earning my Bachelor of Arts degree in Communications this month when I graduate from Lewis University. My coursework and FF2 experience have given me the skills to communicate clear and concise messages to target audiences. I am currently applying for positions in proofreading, editing, social media and public relations. My favorite thing about working for FF2 is reviewing films I wouldn’t otherwise have the opportunity to see. I’ve been pleasantly surprised by many films that didn’t sound like my cup of tea based on synopsis alone, but when I sat down in the theater with limited expectations, I was swept away. The most recent example of this is Lone Scherfig’s moving, funny, smart Their Finest. Robin Hanley and Phillipa A. Booyens’ I’m Not Ashamed is a moving true story about faith in the face of tragedy, and Ry Russo-Young’s Before I Fall is a beautiful reminder to live life for today. All of these movies are about strong women who didn’t have to say 'I am strong' for viewers to know it was true."